I was searching through an old box of photos and stumbled upon these childhood photos of me when I was young and sweet. 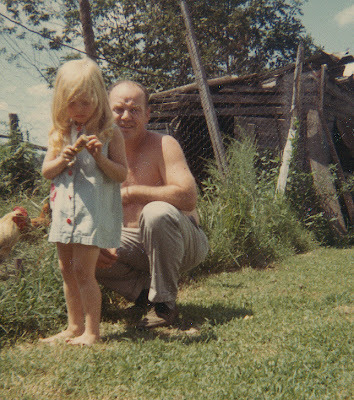 These were taken at my grandpa’s farm in Tennessee. Almost every year, my mom and I used to take a train down South to drop me off. I’d stay for a month during the summer until my dad got his vacation, then they would both drive down, stay a week and we’d all drive home. I think these photos are almost ethereal. They are just beautiful to me. 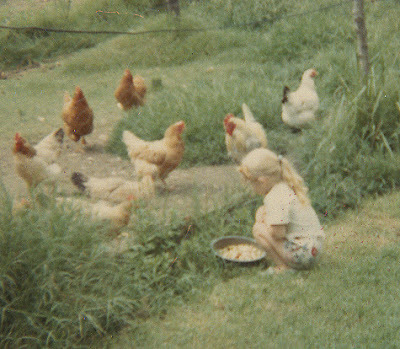 I don’t remember feeding the chickens, but I’m glad there are photos that show I did. The most precious photo to me is the one with my dad. He was a wonderful father and I will love him always. I was the proverbial ‘Daddy’s Girl.’ I’ve been without him for 26 years now and not a day goes by that I don’t think of him. 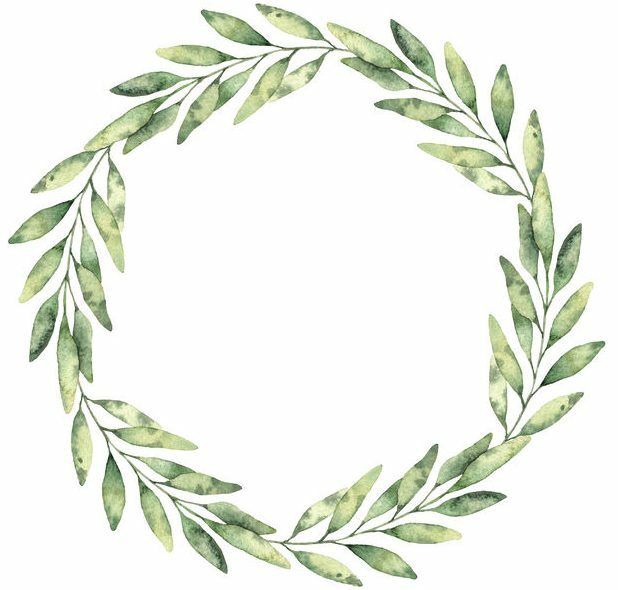 He’s always there in the back of my mind, right where God lives in me and where the thoughts of everyone else are that I love. 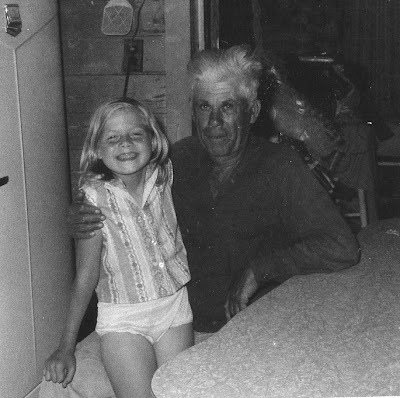 Sitting on grandpa Herman’s lap. Previous postCreativity…it’s bubbling to the surface! 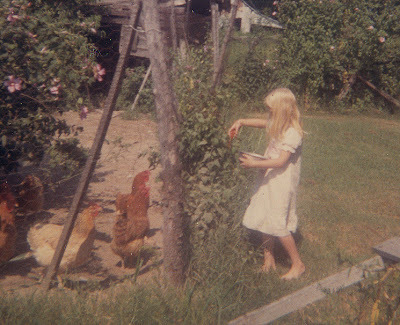 I love these pictures….isn’t it funny how old pictures can bring back such great memories. That’s the one thing about being a child…we are so “in the moment” in everything we do….I try to grasp that whenever I can.